Spend your mornings with us at the state-of-the-art Rose Indoor Training Centre and Tourmaline West Baseball Stadium! Our coaches will help your little leaguer develop their defensive skills, throwing mechanics and pitching. The players will work on all facets of defensive play, and strengthen their infield, outfield and catching abilities. In addition, players will expand their knowledge of proper pitching and throwing mechanics to help improve their strike percentage and throwing velocity. Please Note: Players are required to bring their own helmet, glove, and bat to camp, as well as their lunch and a refillable water bottle. For a full-day baseball camp option, register for the Thunderbird All-Skills Camp. This camp is focused on all offensive aspects of baseball. Players will improve their hitting mechanics, bat path and bat speed, while having fun training with the HitTrax Hitting Simulator. 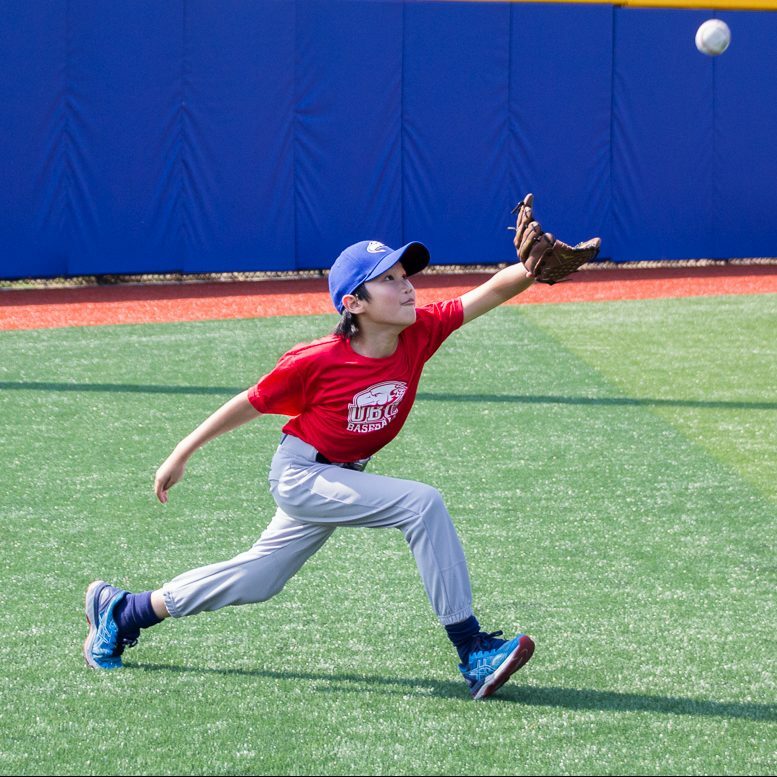 A full-day of skill development and fun at the UBC Baseball Complex! Put your skills to the test to try to win the UBC Baseball Summer World Series!